You are here: Home / survey sites / Toluna: Get paid for completing surveys and testing products! If you’re looking for new survey companies to earn some extra cash for the summer vacations or spending money, check out Toluna! You can get paid to complete surveys and test products. They are currently looking for people to complete product testing for a new body wash. Upcoming product testing opportunities include a Magic Sponge (it looks like it’s similar to a Magic Eraser), toothbrushes, deodorant, and more! I have done done product testing before and it is SO fun to be able to try new products before they are available on the market. They usually send you a full size sample to test, too! Make sure you check your e-mail to confirm your registration after you sign up. Once you are signed up, click on “Rewards” and then “Test Area” to see current product testing opportunities and to apply for those opportunities! Let me know if you get in! Toluna: Get paid to test products and share your opinions! 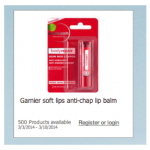 Free Garnier Soft Lips Anti-Chap Lip Balm! 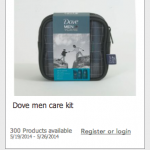 FREE Dove Men’s Care Kit Product Testing Opportunity! 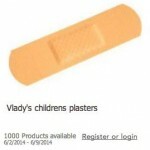 FREE Children's Bandages Product Testing Opportunity! New Product Testing Opportunities from Toluna!